The picture above is my son Aidan Reyher in the original AR Pillow, made back in early 2003. My son is 8 months old in this picture he loved this pillow. It saved my sanity. He still sleeps on one today. The entire line of AR Pillow products have been developed to help my family and many products came about because of the thousands of people who have called me over the years and made suggestions or told me of the issues they where encountering. Have you heard the expression "necessity is the mother of invention"? ... IT IS NOT YOUR FAULT !!! And, if your baby has reflux or colic, you are not alone ... please read along so I can share my own misfortune and tell you how I turned it all around ... my greatest wish is to share what I learned in order to help you! First, my newborn son was diagnosed with acid reflux (colic) ... he was only one week old at the time ... I was an absolute nervous wreck because a family member's baby had recently died from SIDS* ... the talk of the family was that the cause of the SIDS in this baby was believed to be related to baby reflux! Of course, I became terrified this would happen to MY son! Needless to say, I took the infant reflux diagnosis VERY seriously! To help MY son's reflux (colic), my pediatrician advised holding my son at a 30 degree angle for a half hour after every feeding. However, MY baby moved around too much ... this was not going to work for long...! I tried propping him up on pillows but he kept wiggling off ... in the meantime, he cried and cried and cried and cried ... endless crying ... non-stop crying ... what to do ?! This seemed to be a much bigger problem with no easy solution ... therefore, I absolutely HAD to create the first AR Pillow wedge positioning product (after all ... my thinking at the time was "someone HAS to do it" so "it might as well be me")!! My greatest desire for you is that you try the AR Pillow for your baby and get your life and your sanity back! 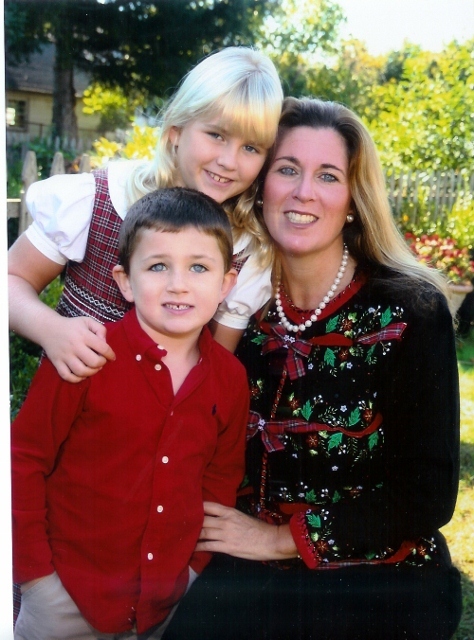 You will be in great shape even if it helps you 10% as much as it helped my son! 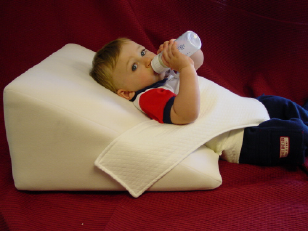 And guess what... my son never outgrew his reflux, but did he outgrow his baby reflux pillow at 2 years of age ...(side note: the design for the Baby AR Pillow safely positions babies up to to 26 pounds -- approx. 2 yrs of age -- my son now sleeps using a Child/Adult AR Pillow).